Sometimes the reward just doesn’t match the effort. Locke wrote this comic with Persona 4 in mind. He wanted me to draw a Persona 4 character using their style but I forget until I was half way done. Oh well! This entry was posted on Monday, December 30th, 2013 at 12:00 am and is filed under Comics. You can follow any responses to this entry through the RSS 2.0 feed. Both comments and pings are currently closed. 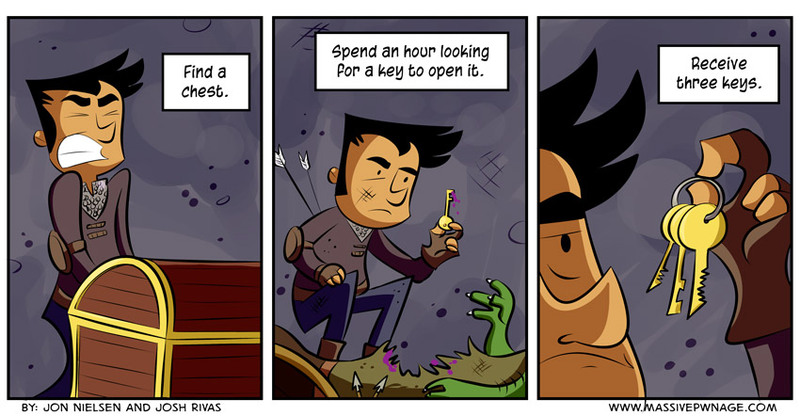 I feel this pain translates to all RPGs though. I loathe random loot generators for this very reason.